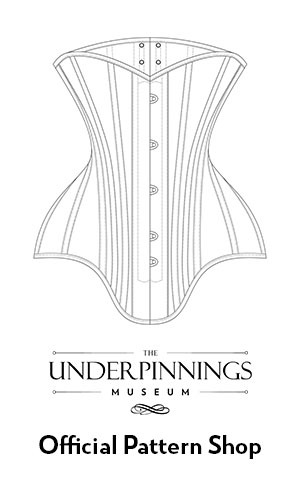 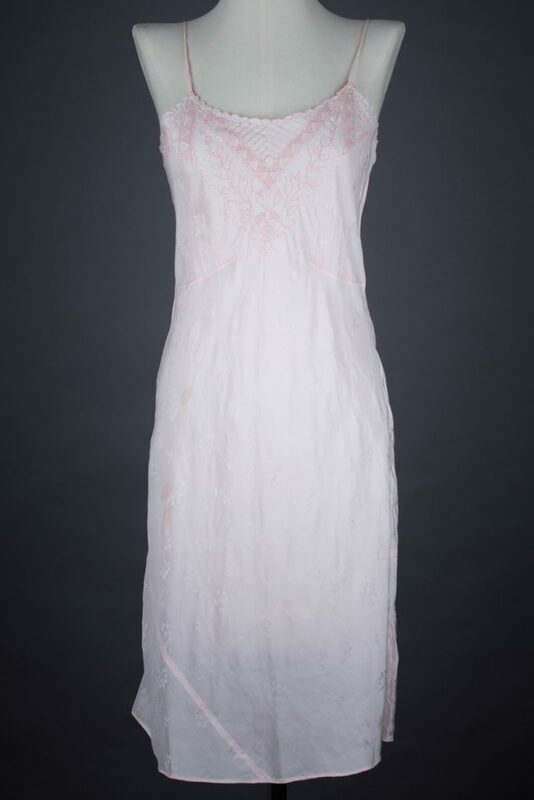 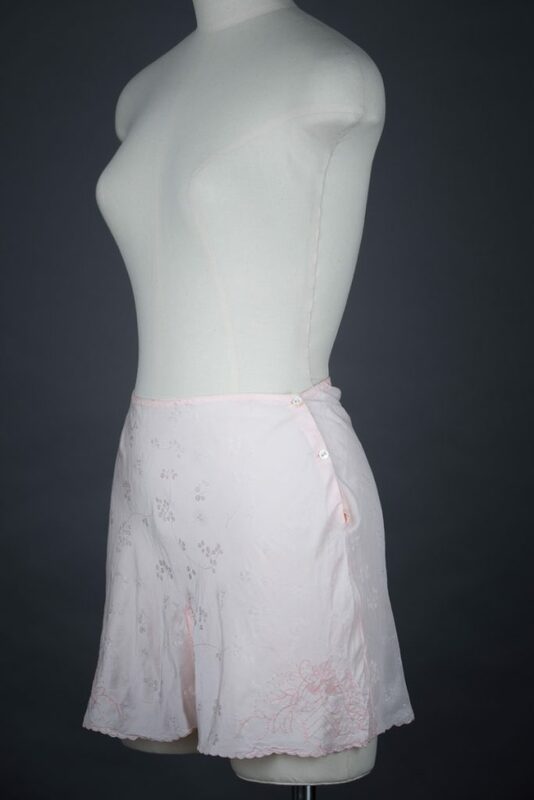 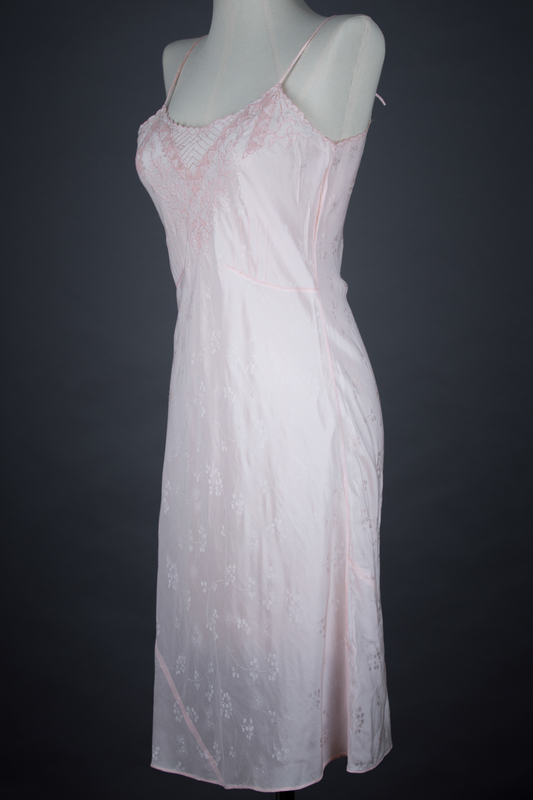 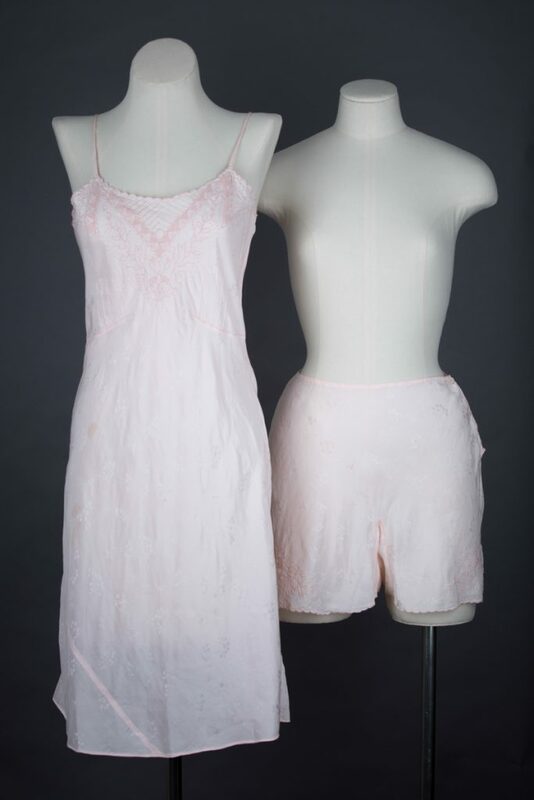 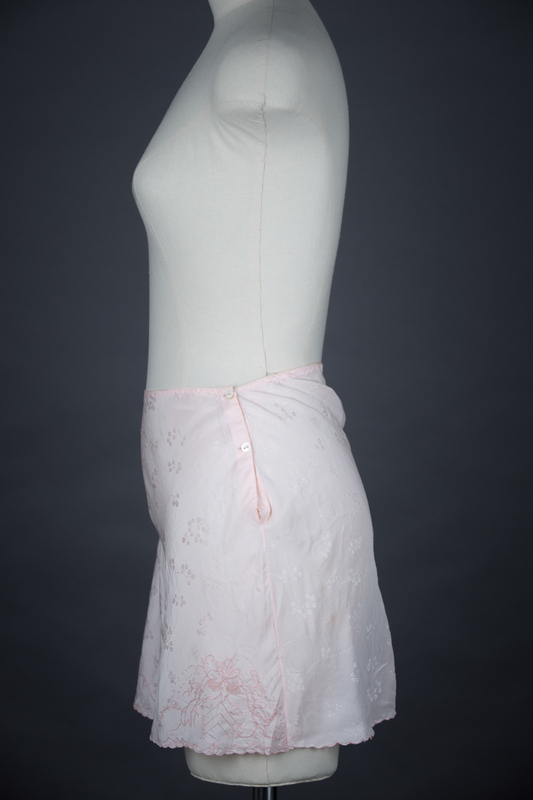 This set of a slip and tap pants were originally created for a wedding trousseau, sewn with a mix of machine and hand stitching. 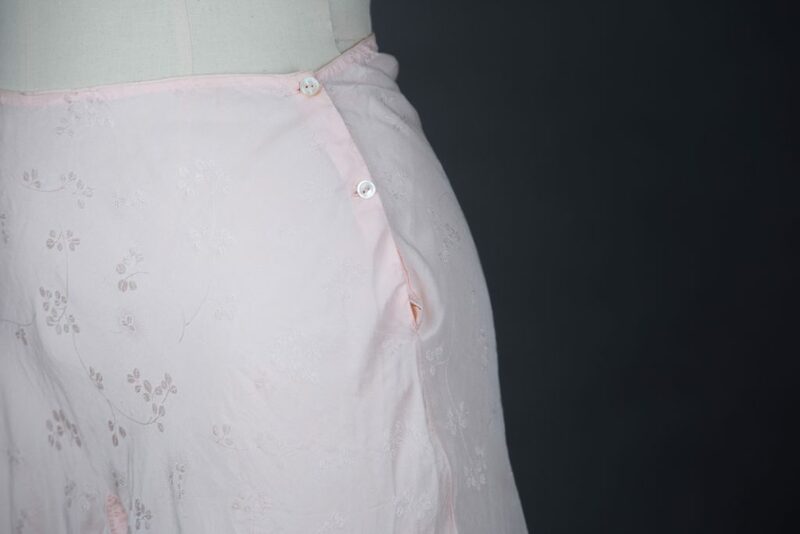 Both pieces are made from a jacquard woven, floral patterned silk that has been carefully cut on the bias, with carefully placed seams to minimise fabric waste. 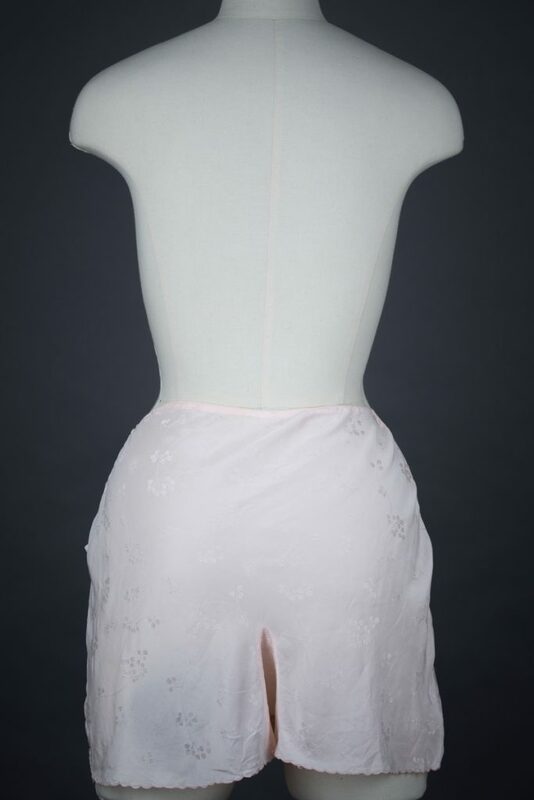 The tap pants open at the left side seam with shell buttons through a hand worked buttonhole stitch. 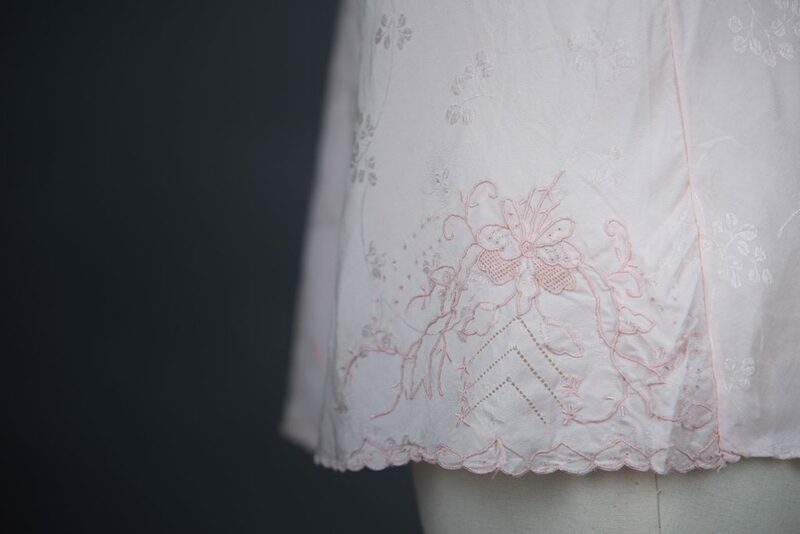 The embellishment of this set is subtle but incredibly skilled. 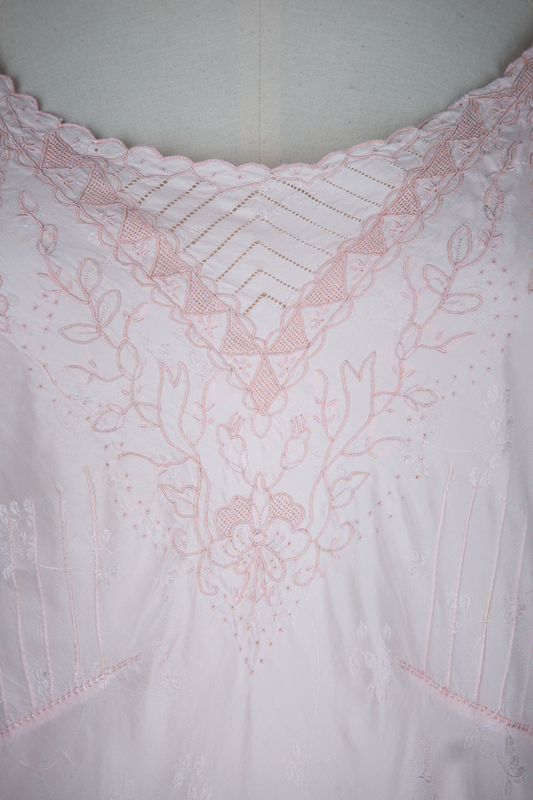 A number of intricate embroidery techniques have been used, including satin stitch embroidery and drawn thread work. 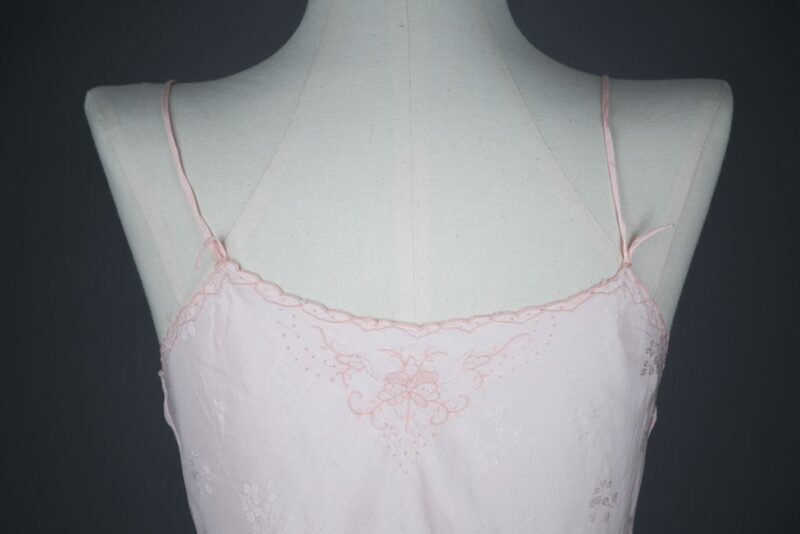 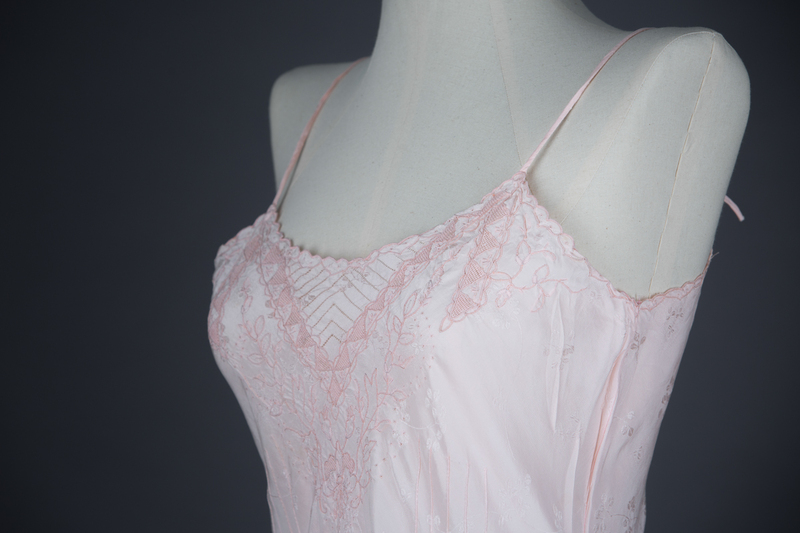 The bustline of the slip has incredibly delicate hand sewn pin tucks. 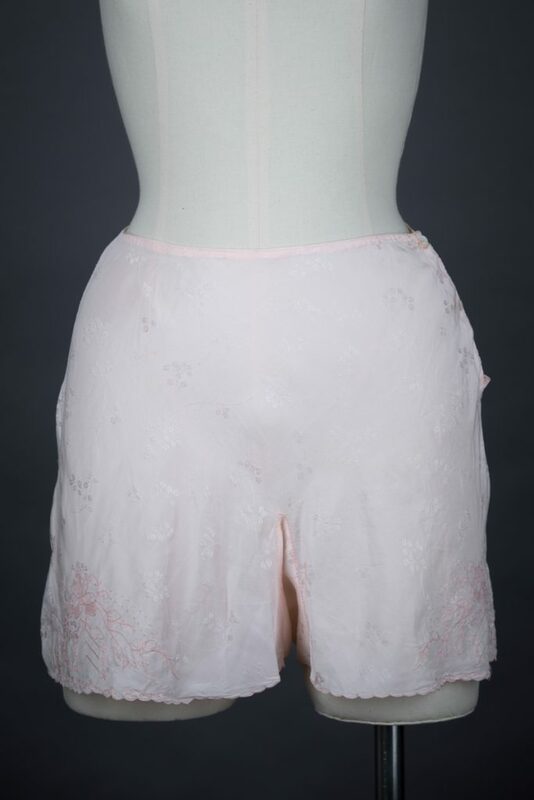 The neckline of the slip and legline of the tap pants have a scalloped edge, finished with embroidered heart and scallop motifs.